Week 7 | Whole Food. Real Food. Good Food. Week 7: We started drinking green smoothies on a daily basis. Here is our favorite one. Green smoothies have been instrumental in getting green goodness into myself and family every single day! We either have them for breakfast or as an after school snack. If made with the right combination of ingredients, you will never know you are drinking spinach, kale, etc. My son, who used to eat junk food like there was no tomorrow, now asks for these smoothies when he wants a drink or snack. So why are these smoothies so good for you? Loaded with nutrients! The amount of nutrients you can get into a litre of green smoothie is astounding. It is a multivitamin in a glass. No need to go to the vitamin aisle and fill up on pills. Just drink a smoothie and you are good to go. Keeps the fiber intact! “Eat more fiber” has been thrown around in the media time after time. Fiber helps clean out our insides. The more fiber we can get the better. Fast to prepare and drink! 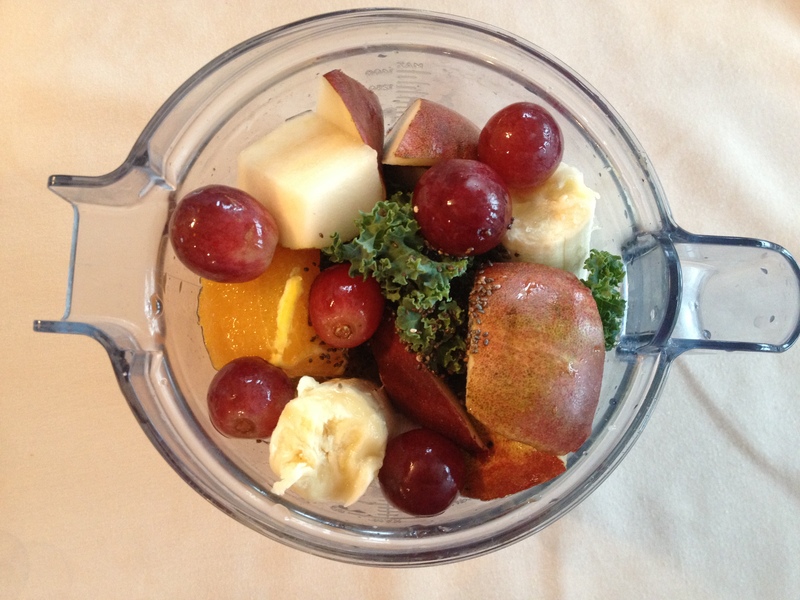 Throw all the ingredients in a blender, whip it up and voila! Clean up is a breeze too. Just rinse and you are done. Keeps you energized throughout the day! Green smoothies are better then coffee. They keep your energy levels stable for the entire day. There are no highs and lows, just sustainable energy that lasts all day long! Can have as much as you want. There is no portion control police on this newfound green smoothie habit. Having one, two or even three a day is allowed on this lifestyle. It is actually encouraged to drink as much smoothie as you can handle. It is an easy way to get greens in! Getting your recommended intake of greens for the day can be a daunting task. What you are soon to find out is that the taste of the greens is masked by the fruit. It is a hidden gem with huge nutritional gain. They help with weight loss! Once you start making smoothies a daily habit, your natural weight will appear. Those unwanted pounds will vanish without you even trying and that heavy feeling will dissipate. Not sweet enough for you? We use the Vitamix 1782 TurboBlend — It helps to leave the blender on the counter where it is easily accessible, may not look pretty, but it will make you glow inside and out! In the cabinet above our Vita-Mix we keep all of our powders and seeds. In the drawer below our Vita-Mix we keep all of our measuring cups and spoons. Making everything accessible will make it much easier to make smoothies throughout the week. A lot of times people will purchase kitchen appliances and never use them because it is a pain to get them out. Sometimes we like adding protein powder to our smoothies. We use Garden of Life Garden of Life Raw Organic Protein. This is a very high quality, plant based protein that is gluten free, vegan, dairy free and Non-GMO project certified. It is made with a blend of raw sprouted bio-available protein from brown rice, amaranth, quinoa, millet, buckwheat, garbanzo beans, lentils, adzuki, flax, sunflower seed, pumpkin seed, chia seed, and sesame seed sprouts. This is a great one to choose because of the varieties of plant food used. The shining stars of green smoothies are the leafy greens— chock full of phytonutrients, protein, vitamins, antioxidants…the list goes on and on. Yet there is also something you need to be aware of when drinking green smoothies daily— it’s called “alkaloid buildup.” All raw leafy greens carry a small amount of toxins that protect plants from being entirely consumed by other animals—and wiping out the plant species. It’s a defensive trait, and something even we should be aware of. As humans, if we consume these toxins for long periods of time, they can build up and harm our thyroid. Some symptoms of alkaloid buildup are naseau, tingling in finger tips and fatigue. But before you dump your green smoothie down the drain, you should know that this isn’t anything to worry about as long as you are rotating your greens. Throughout the week, use a variety of leafy greens in your smoothies— like kale, spinach, romaine, herbs and carrot tops. 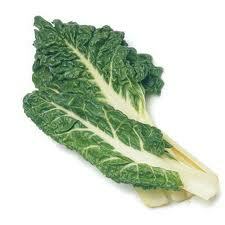 While alkaloid buildup is rare, it would not hurt to start out rotating your leafy greens weekly. So one week you might buy spinach, and then on your next shopping trip, you might buy kale. Then once you plan to maintain the green smoothie habit as a lifestyle, rotate between two different leafy greens per week. And then another two different leafy greens the following week. So one week you might buy spinach and kale, and then on your next shopping trip, you might buy romaine lettuce and swiss chard. 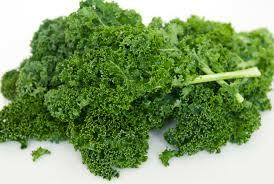 Kale: If you like spinach then you will like kale. 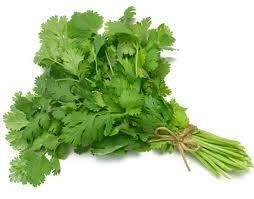 They are both known for their wide variety of nutrients, mild taste, and availability in your local markets. The best part is that they are from different families, which will make rotating a breeze. Having any kind of health issue? Kale will probably help, though they are especially talented at fighting cancer. 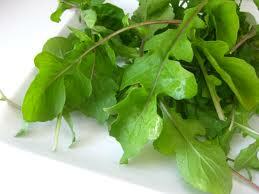 Arugula: Arugula is kale’s brother when it comes to content. They share high volumes of vitamin A, C, & K, fight against cancer, and include many other nutrients (iron, carotenoid, and more). Their differences are few, so choosing between the two is a matter of preference and convenience. Or maybe you would like to include them both in your rotation! 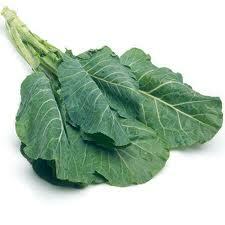 Collard Greens: Like their other cruciferous family members, collard greens are great cancer fighters. They are also pretty good at helping your body digest foods properly with all the fiber inside. They are most popular as a steamed leafy green, but adding them raw to your smoothies will provide you with more health benefits because they lose nutrients when cooked. 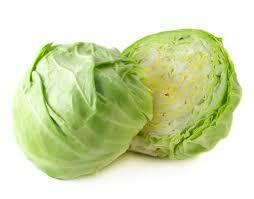 Cabbage: Cabbage is yet another example of a cruciferous cancer fighting leafy green. One thing that may help to separate it from the pack is its popularity in home gardens and fresh markets, which makes them easy to find. It also has a hint of sweetness to go with those yummy, summer smoothies filled with berries. Bok Choy: The “Chinese Cabbage,” otherwise known as bok choy, shares loads of similar nutrients with the rest of its family, while is specializes in its lack of calories. It is best to purchase during the winter months while it boasts its dark green, firm stalks. 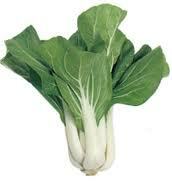 Bok choy is a sweet green that will keep you slim. 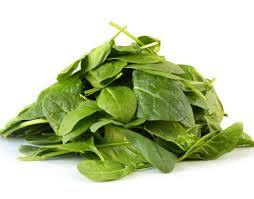 Spinach: Just one leaf of spinach contains a sampling of more than 20 different nutrients. The list of benefits is nearly as long as the amount of nutrients: cancer fighting, blood pressure beating, bone strengthening, cardiovascular helping, brain boosting, skin smoothing, vision improving, inflammation reducing, energy increasing, and more. Spinach is a green smoothie staple for all! 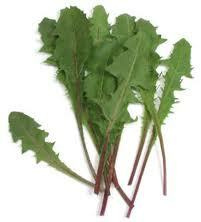 Beet Greens: Beet greens include a wide variety of nutrients, but make their claim to fame with tryptophan. Tryptophan is the culprit of all those Thanksgiving Day naps, but more importantly helps with better sleep cycles. If you are always complaining about being tired, don’t turn to coffee. Add tryptophan to your green smoothie. 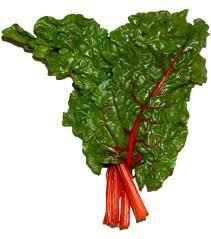 Chard: Chard is a colorful leaf best known for its ability to regulate the body’s blood sugar system. If you have diabetes or struggle to main your blood sugar levels then chard should become a regular part of your leafy greens rotation. Try it in the morning to start your day off right! Dandelion Greens: A healthy dose of dandelion greens will give you near the same amount of calcium as a glass of milk will, but it will also fill you with other nutrients that milk doesn’t. Bananas are a great accompaniment to dandelion greens because the sweetness of the banana hides the bitter of the greens. 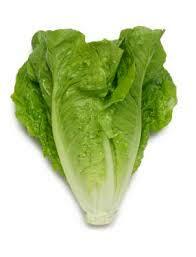 Romaine Lettuce: Romaine lettuce is a nutrient rich leafy green that is good for your heart and low in calories. The vitamin C and beta-carotene content help to lower cholesterol and prevent build up on artery walls, which reduces the risk of heart attack. Being low in calories also helps you lose weight while keeping you full. 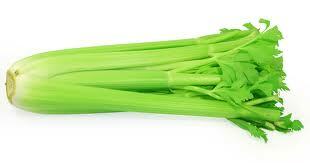 Celery: Phytonutrients are what makes celery stand out among other raw greens. Phytonutrients are an antioxidant that help prevent damage done to body fat and blood vessel walls. This may not sound important, but blood vessel damage leads to many of the diseases we see today. Be sure to use strong fruit to balance out the potent flavor of the celery stalks and/or leaves. Cilantro: One of the remedies for lowering blood sugar and cholesterol is cilantro, and its fast and easy to add to your daily smoothie! Try it with lime juice and other tropical treats. Carrot Tops: Carrot tops are filled with chlorophyll, which has been shown to fight against tumor growth and acts as a cleansing agent. 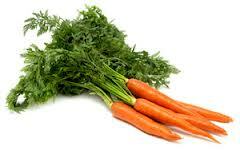 The best way to buy carrot tops is to buy carrots with full greens on top. You will have nutrient filled green smoothies and a snack for later and nothing will go to waste! When you rotate you are getting access to many different kinds of nutrients that each raw green has to offer, but at the same time you are preventing alkaloid build-up. When rotating, keep in mind to go from family to family. You may have to experiment with a few different greens from each family to find out what you like, and what has the best benefits for you, but the benefits are worth it! Once you know what you like you can find staple recipes that go well with each green. Rotating is good for you, keeps things fresh, and simple. When, during the day, does a smoothie work best? Instead of having your typical breakfast, try out a smoothie. It is the perfect way to break the fast, coming off of eight hours of sleep. Making a large smoothie in the morning can keep you satisfied for a longer period of time and will also keep those energy levels up. To really make sure all the nutrients are absorbed and utilized, consume on an empty stomach. Processed foods require longer digestive times and require more energy to process. Smoothies have very short digestive times, can be easily digested and assimilated. This is the period of time after exerting yourself when the body is ready to convert glycogen into blood sugar, due to the depleted stores resulting from the workout. It is best to have a simple smoothie right after your work out. Instead of going for that heavy meal, try out a smoothie. You will soon realize that there is no need to take a post meal nap and rest before your next task of the day. Figuring out what to make for lunch or dinner can be a headache. A large smoothie can fix that. They are satisfying and filling enough to be used as a meal replacement. Make sure it is a litre or more. Smoothies are probably one of the most convenient beverages to take on the road! Using a mason jar as your ‘to go cup’ is perfect because the quantity can be increased and it is good for the environment. Pingback: Spinach Banana-Berry Smoothie | Whole Food. Real Food. Good Food.